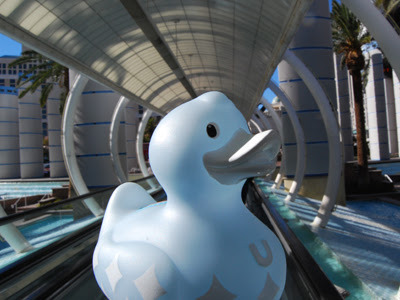 Welcome to the Duck Show! I’m Cheese, spokesduck for the Duck Show, and today I’m taking it to the streets of Manhattan to meet some interesting folks! This fine young fellow is hoping for a royal flush. This futuristic-inspired shot was taken at Bally’s in Las Vegas. 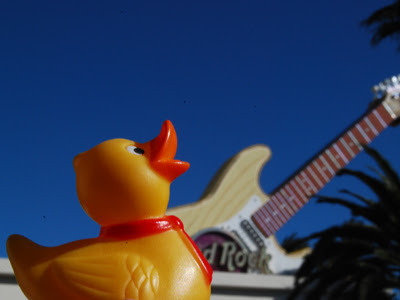 Vegas Baby rocking out in front of the Hard Rock Hotel & Casino in Vegas. 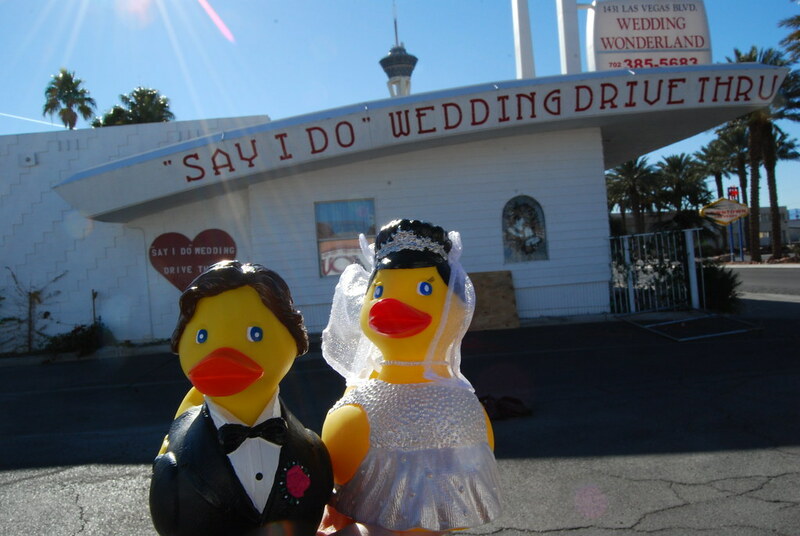 “… I now pronounce you duck and duck!” A Vegas wedding is one of the few things that doesn’t follow the “What happens in Vegas stays in Vegas” slogan. 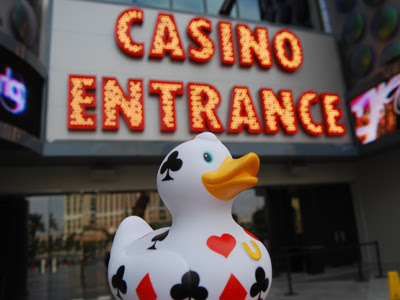 The ducks head out to Vegas for a little R&R……well, more like a little T&T (tequila and tacos). Arriba! !